Instead of ensuring law and order, some police officers are always spotted taking the law in their own hands for their own economic interests. 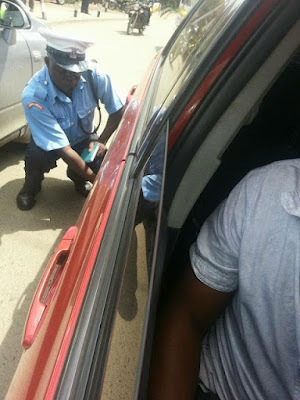 In this case a police officer in langata was spotted deflating someone’s car tyres in order to ensure that he doesn’t leave as he wanted the car towed to the police station. Is this how a police should handle a traffic matter? According to reports its alleged that the police man owns a break-down and also wanted to earn some good money by ensuring it’s was the one used to tow the vehicle to the police station.